At the start of 2018, things were looking really good for the St. Agnes Baking Co. As a primary bread provider to restaurants and hotels serving the crowds coming in for the Super Bowl, production was at capacity. Then the bakery ran into immigration problems. In three weeks the business was gone. 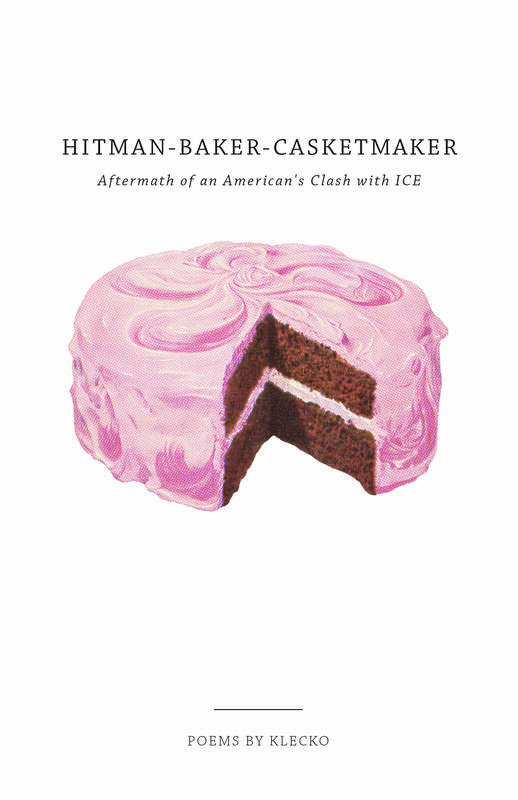 Baker and poet Danny Klecko is now telling his side of the story in a new collection of poems called "Hitman-Baker-Casketmaker: Aftermath of An American's Clash with ICE." You can now find Klecko overseeing production at Grandma's Bakery in White Bear Lake, a noisy place where giant mixers knead huge buckets of dough along one wall, while a baker uses another machine to fill cupcake baking cups with dough before sliding them into the ovens. Klecko watches it all with a practiced eye. He's one of those guys who seems to know just about everybody. "When you feed a city on a daily basis for coming close on four decades, you meet everyone," he said. "You meet the rich, you meet the poor." Klecko cuts a memorable figure. He's tall, and has been known to train in a boxing gym. An impressive array of tattoos covers his arms and legs. Many represent significant personal moments. Sitting back in the relative quiet of his office he outlines a significant moment from early 2018: the ICE audit of the St. Agnes Baking Co. where he worked for more than 20 years. "Sixteen days before the Twin Cities hosted the Super Bowl, we received the results from an I-9 audit that told us that 23 of our employees would not pass that audit." Of those, 18 were supervisors. Some of them he'd worked alongside for decades. As the boss, Klecko knew this was really bad and the owners were going to have to make a tough decision. "I knew immediately, it just couldn't go on," he said. "The plug was going to be pulled." ICE officials told him he had 10 days to wrap up. Klecko says he knew his job was to get everyone paid, and exit with dignity. His lawyer told him to expect his staff to bolt as soon as he told them about their status. Klecko wrote the poem "The Audit" about what happened next. "The Audit" is one of several poems about the weeks leading up to the Super Bowl in "Hitman-Baker-Casketmaker." Klecko says none of his staff left immediately. They knew he had commitments to honor. And those actually increased. He told his customers about what was happening, that they should look for new bread suppliers. Instead, they decided to stockpile and many increased their orders. "They needed tenfold," Klecko said. "And so we did it." It took a 90-hour week. Another poem in the collection "Lunch with Oso" portrays the last of years of lunches Klecko shared with one of his crew. They were so exhausted neither of them could bring themselves to eat, so at first they sat in silence. I should have known better." Klecko has been at Grandma's for a year now. He's OK, and he hopes all his former co-workers are too. But he's upset. He wants people to understand what's going on around them, to understand how that food, including that bread, gets to their plates. "No first world nation services itself in hospitality. They have other countries doing their work for them," he said. 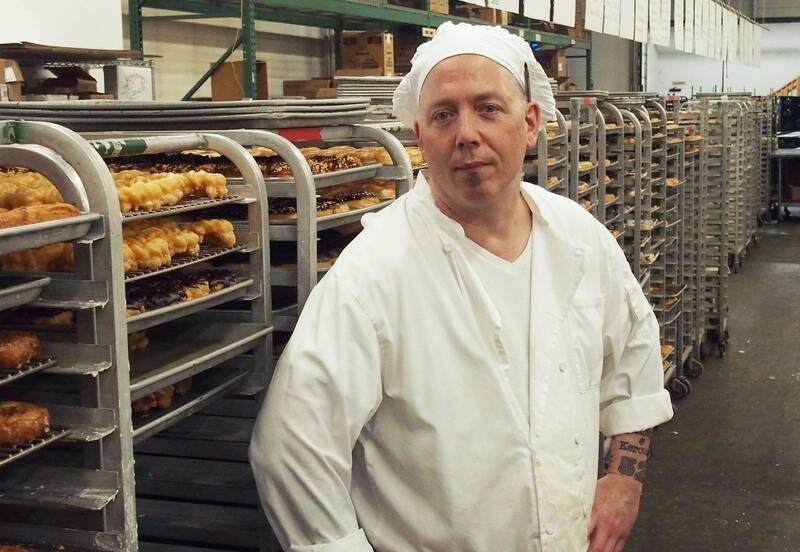 He said 95 percent of the people who applied for jobs at the bakery in St. Paul were Hispanic. He says St. Paul has been a de facto sanctuary city, and needs these workers to keep going. "Cities should not lure people in here, and offer them sanctuary, and offer them the ability to make a living but not to have security. That's just not fair," he said. Klecko says he doesn't have answers, but people need to talk about who is providing their daily bread. Klecko will read from "Hitman-Baker-Casketmaker" Thursday at the Turf Club in St. Paul. There's a second reading at Subtext Books in downtown St. Paul at 1 p.m. Saturday.